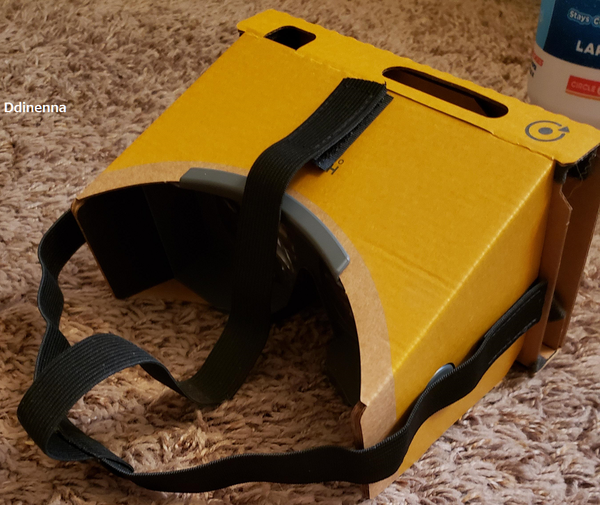 Nintendo has specifically designed Nintendo Labo's VR Kit to be held by both hands when you play. All the Toy-Con included in the Kit are based on the idea of holding the device up to your face. Still, there are some smaller experiences that would be better served by the display attached to your face, and the controllers in a more relaxed position. That'll be doubly true for the VR experiences in Super Mario Odyssey and Zelda: Breath of the Wild. That's why some fans are already coming up with their own fixes. Obviously Nintendo wouldn't like or recommend the solution above, but as long as you're willing to take the risk, it might work out pretty well! Reddit user Ddinenna's solution isn't an elegant one, but it does seem to get the job done. I'm temped to try something like this myself!